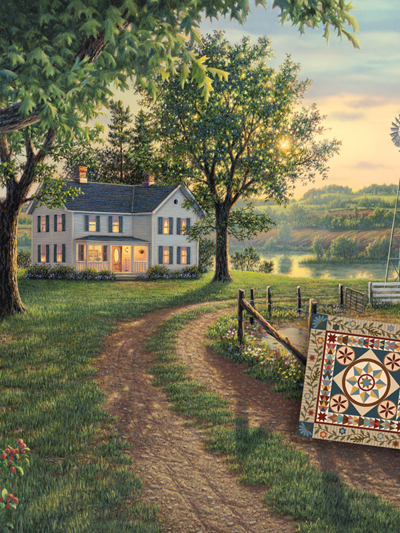 Everything you need to make this gorgeous quilt! 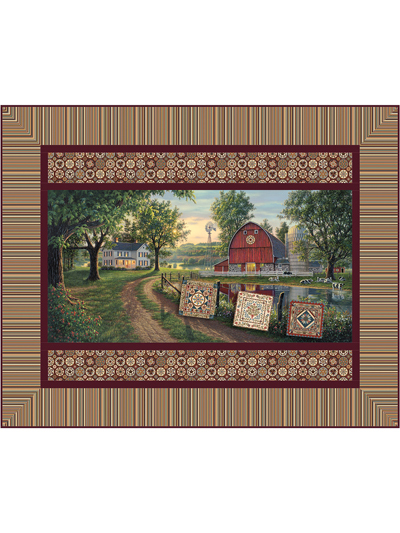 This beautiful pattern features a scenic, country setting looking out on a sunset sky. 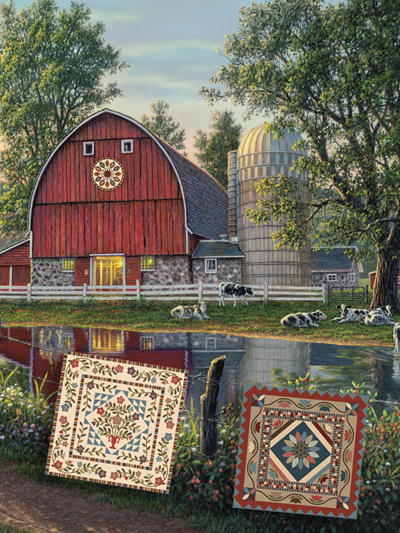 The home is welcoming with the lights on and quilts hanging out to dry! The kit includes digital panel, all fabric, binding, and pattern. The backing is NOT included. Finished size is 52" x 42". 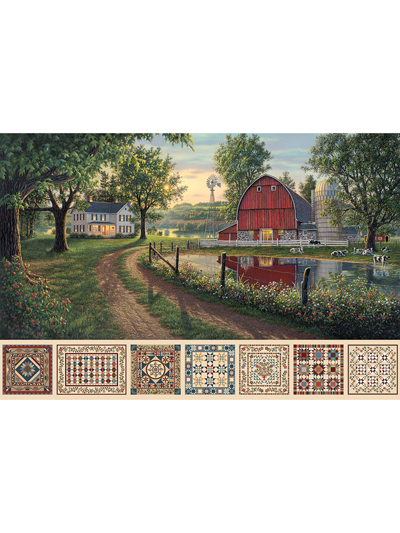 Heritage Quilting Digital Panel 28" x 42"